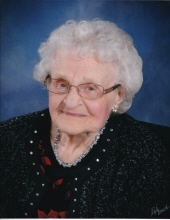 Catherine Josephine Cowek Gover, age 95, formerly of Connecticut and Vero Beach, FL, passed away April 6, 2019 at Stanley Total Living Center. Left to cherish her memories are her children and their spouses Gwendolyn J. Bowers and husband Richard of Charlotte, Donald Gover and wife Linda of Newtown, CT, Marianne Hopkins and husband John of Blairsville, GA, Jeffrey Gover and wife Laurie of Vero Beach, FL and Jeanette McFadden and husband James of Vero Beach, FL. She is also survived by 13 grandchildren, 27 great grandchildren and 2 great great grandchildren. The family will receive friends from 1 - 2:00 pm, Tuesday, April 9, 2019 at Flint Groves Baptist Church, Gastonia. A funeral service will follow at 2:00 pm with Reverends Ronnie Bowers and Michael Bowers officiating. Burial will be at 11:00 am, Thursday, April 11, 2019 at Crestlawn Cemetery, Vero Beach, FL. To send flowers or a remembrance gift to the family of Catherine J. Gover, please visit our Tribute Store. "Email Address" would like to share the life celebration of Catherine J. Gover. Click on the "link" to go to share a favorite memory or leave a condolence message for the family.